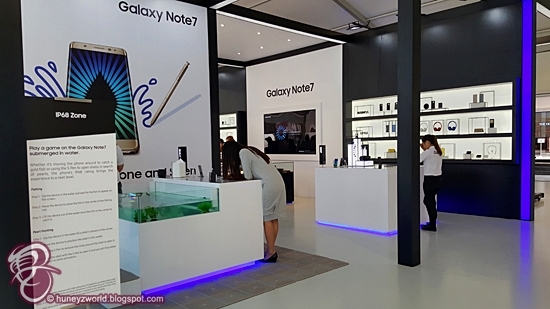 Samsung Electronics Singapore today showcased the new Galaxy Note7, its latest device to its flagship Galaxy Note line. Building on Samsung’s category-defining leadership in the smartphone market, the Galaxy Note7 sets a new standard for large-screen devices with a premium and refined design, topped with innovative features and top-of-the-line security capabilities. Created for lifestyles striking a balance between work and play, the Galaxy Note7 enables users to achieve more than what they thought possible on a smartphone. 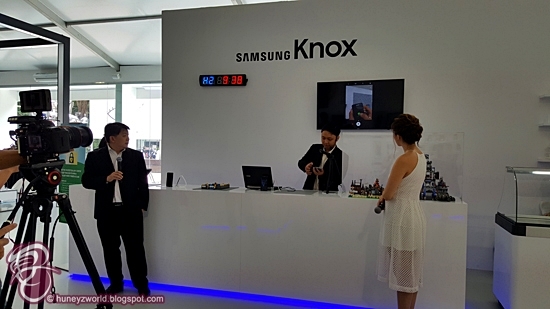 Samsung also showcased the evolution of Samsung Knox, the award winning and defence-grade security platform that is being taken beyond mobile to serve as the backbone of secure enterprise and consumer solutions and services. 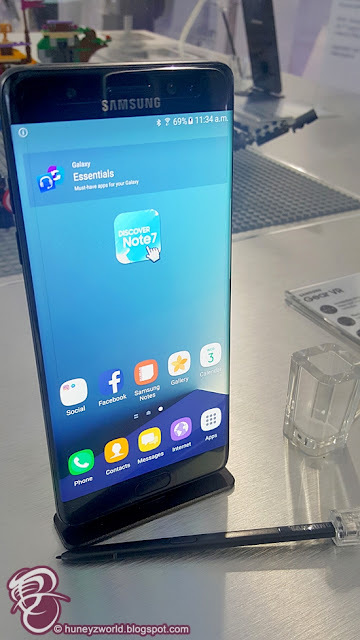 Galaxy Note7 S Pen: Bringing Ideas to Life – The Galaxy Note7 features a new and enhanced S Pen that is more than just a writing tool – it updated design with a smaller pen tip and improvements to pressure sensitivity, offers users a highly accurate and real pen-like experience. The Galaxy Note7 and its S Pen are both equipped with IP682-certified water and dust resistant capabilities, providing users with increased utility where they can jot down their thoughts without interruption anytime. 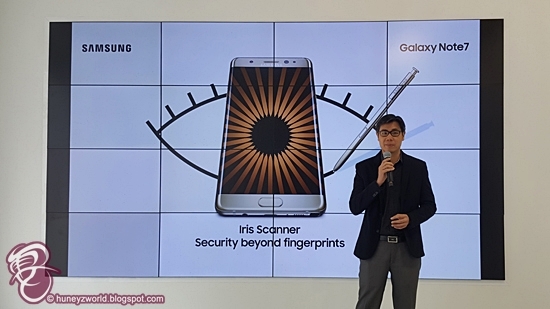 Advanced Security: With the Blink of an Eye – In addition to fingerprint scanning, the Galaxy Note7 is equipped with new iris recognition3 technology, a highly secure biometric authentication system. 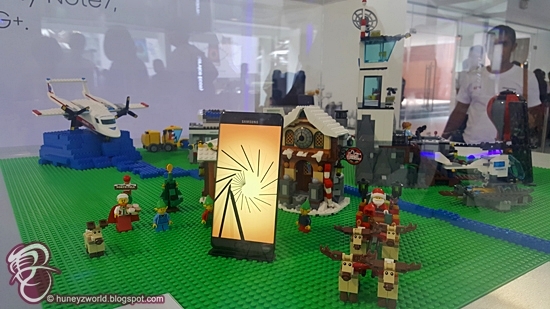 Coupled with Samsung Knox, an award-winning defence-grade security platform, the Galaxy Note7 provides a new level of security and convenience. Best-in-Class Entertainment – Equipped with a 5.7-inch QHD SUPER AMOLED display, the Galaxy Note7 features immersive entertainment capabilities. It is the first smartphone that is High Dynamic Range4 (HDR) video streaming-ready, providing users with a cinema-like experience with brighter colours and a deeper black, ensuring the most fulfilling movie experience. Galaxy Foundation with Refined Craftsmanship – Featuring a front-to-back 3D dual-edge curve Corning® Gorilla® Glass 5 finishing, the Galaxy Note7 provides users with a firm and comfortable grip with its refined design. It does not compromise on functionality as well, where the simplified and refined user experience also enables users to enjoy seamless interaction with their phone. Users can also capture important memories in true-to-life colours with the Galaxy Note7, where its 1.4μm dual-pixel technology, wide f1.7 aperture and fast auto-focus work together to make sharp and beautiful photography possible even in low-light environments. 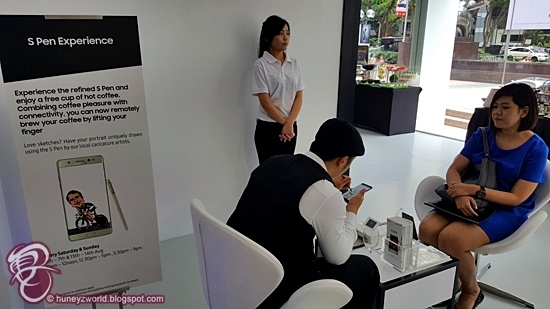 Dual SIM Support – The Galaxy Note7 is equipped with Dual SIM capability, offering users added usage flexibility. Equipped with 64GB of internal storage4, and with the additional external memory slot offering expandable storage of up to 256GB, users can enjoy added versatility without worrying about running out of space to store their content on their device. 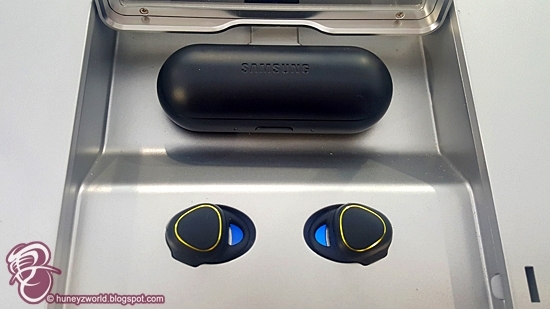 to 9pm from 4 – 28 August 2016.
incorporates the features of Galaxy Note7. 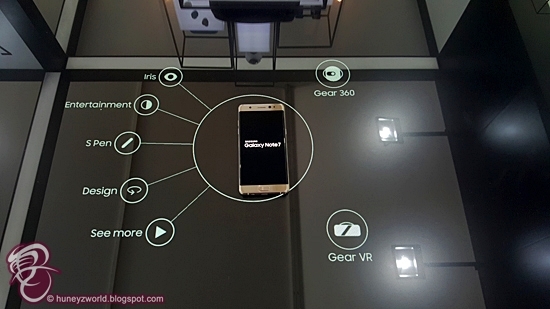 At the various zones, consumers can also experience the all-round multimedia features of a connected Galaxy ecosystem. 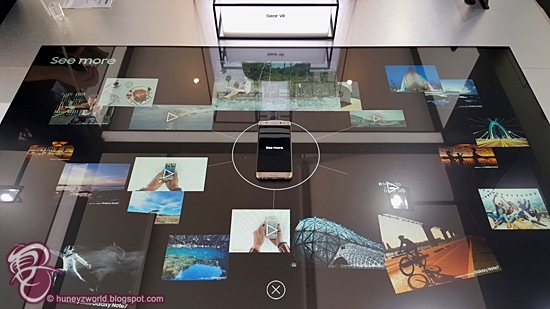 Visitors can enjoy a hands-on experience and explore what the S Pen can do in this zone. You will be able to learn more and complete the 5-point lesson and stand a chance to win a Galaxy Note7 worth $1,168 every week! 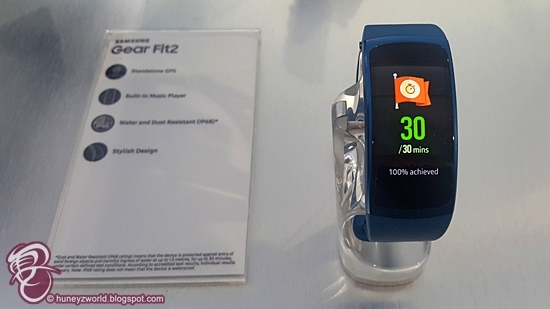 In this zone, you can unlock the Galaxy Note7 using its Iris Scanner, and locate the Secure Folder within to retrieve their lucky number. 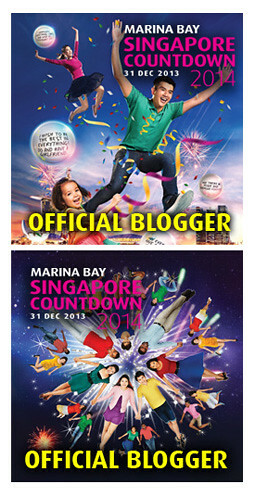 You can then key in the lucky number into the safebox and stand a chance to walk away with attractive prizes! 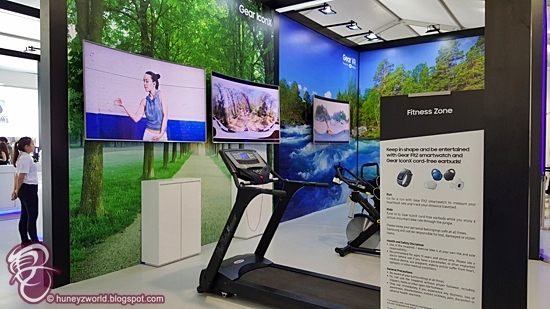 At the curated experiential zones for the Gear Fit2 and Gear IconX, visitors can get their adrenaline pumping and try out the enhanced fitness features and capabilities, through interactive exercises such as running on a treadmill and mountain biking. In this zone, you will be able to experience different ways of capturing your travel journeys and memories in 360◦ with the Gear 360. 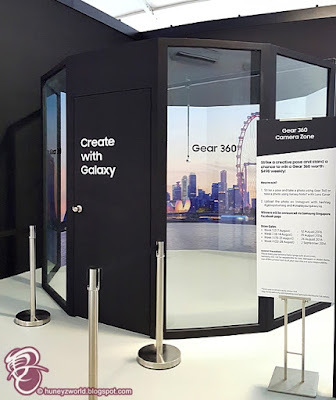 Visitors can also participate in the Photo Contest, where you can strike the best pose with the Singapore skyline in the background, and stand a chance to win a Gear 360 worth $498 weekly. 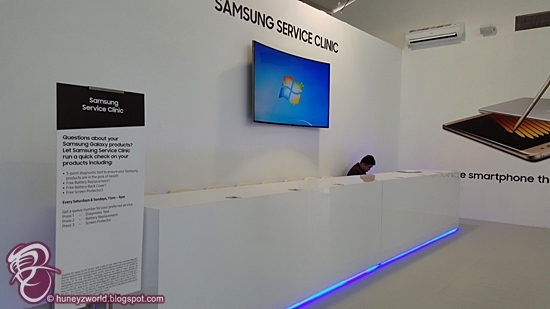 Within this zone, you can also check out the new Galaxy Note7 Lens Kit. Visitors at Galaxy Studio will also have the opportunity to get a hands-on experience of the latest devices and offerings in the Galaxy ecosystem – the Galaxy Note7, Gear 360, Gear Fit2, Gear IconX, at the comprehensive product showcase area. You can unleash your sporty side and try out Olympic sports such as swimming, diving, fencing, cycling BMX and boxing without losing too much sweat. 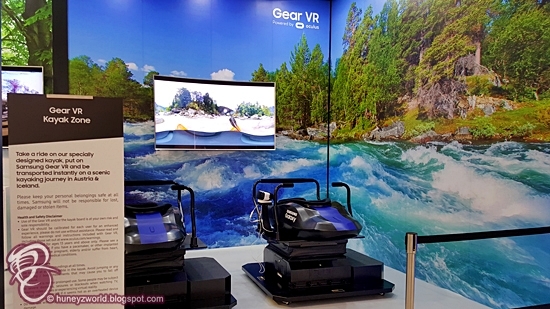 You can even try out virtual kayaking in 4D, all via the Samsung Gear VR. You will get to experience a whole new and safe way of shopping in this zone. 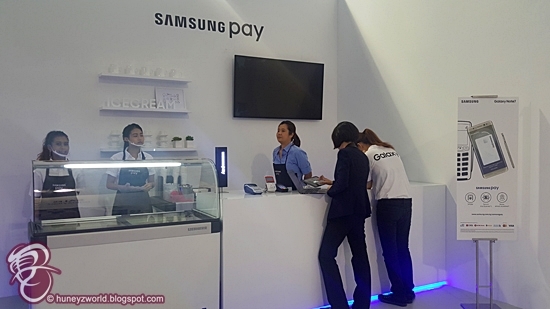 Using Samsung Pay on the Galaxy Note7, and its Iris Scanner for added security, you can enjoy free gelato ice-cream of your choice. chance to win a Galaxy Note7 worth $1,168. BMW ConnectedDrive is an intelligent networking of driver, vehicle and the environment that raises the level of convenience, infotainment and safety. Thanks to a built-in SIM card, each BMW comes fully-equipped with Intelligent Emergency Call, Teleservices, as well as options such as BMW Online, Real Time Traffic Information, Concierge Services and Remote Services. My BMW Remote App allows visitors to import desired locations from their smartphone and send to the vehicle's navigation system. The "Climate Control" makes it possible to control the interior temperature by adjusting the auxiliary ventilation. Locate its whereabouts in a crowded parking lot by flashing the headlights or sounding off the horn all with a simple tap on the My BMW Remote app. The car can also be locked and unlocked from afar even when you are travelling overseas. 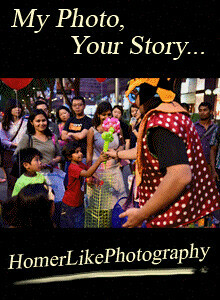 be entitled to redeem a free gift. 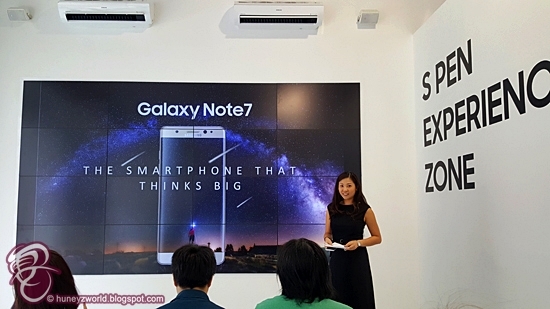 The Galaxy Note7 will be available from 20 August 2016 at the recommended retail price of $1,168 (inclusive of GST). 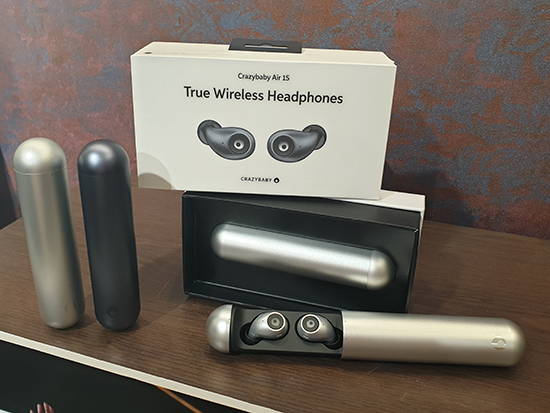 Available in colour options of Black Onyx, Gold Platinum and Silver Titanium, the device will be available at all local telecommunication operators, major consumer electronics stores, authorised mobile retailers, Samsung Experience Stores and Lazada Singapore. 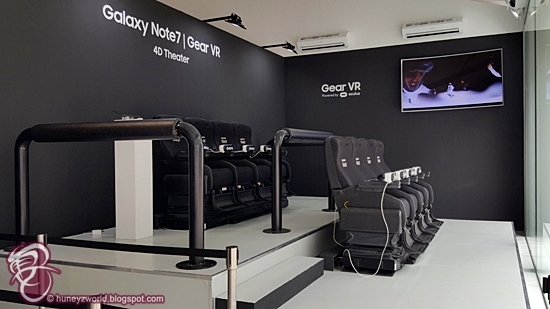 Pre-order for the Galaxy Note7 will also be available at Galaxy Studio, and will commence from 3 August 2016, 7pm. 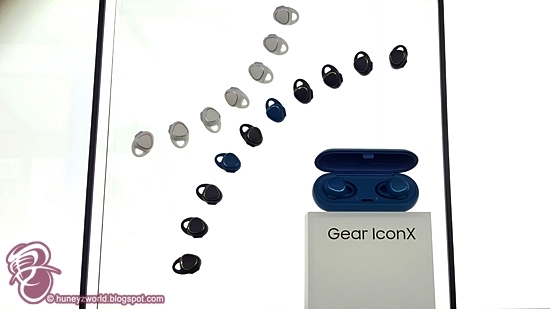 To pre-order, consumers simply have to place a $50 deposit and select their choice of collection point from either Galaxy Studio or any Samsung Experience Stores on 19 August 2016. 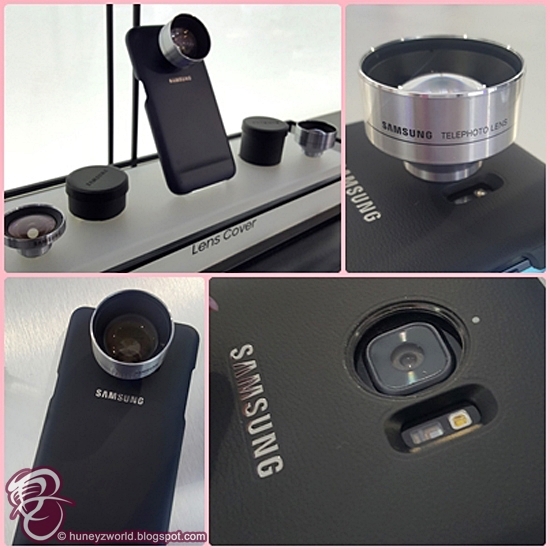 All successful pre-order customers will receive a complimentary Samsung Galaxy Note7 Lens Kit worth $198 during collection on 19 August 2016. 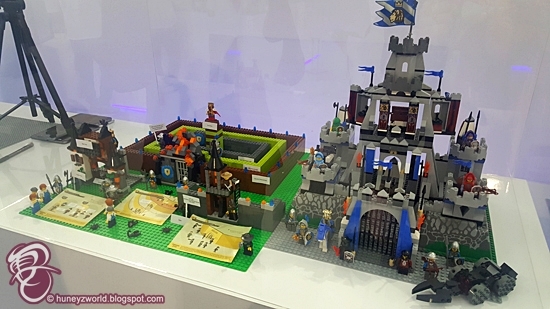 For more information, go to www.samsung.com.sg. Stay tuned for a review of the Samsung Note7!